Construction work at a new Lincoln primary school on Carlton Boulevard is nearing completion. A group of 60 reception children currently being taught at a school two miles away — picked up by a bus daily — will begin their lessons at Lincoln Carlton Academy in January. The new school aims to help with a shortage of primary schools in the east of the city and local villages. The school is being built by Sunesis, made up of a team from construction company Willmott Dixon and Scape. 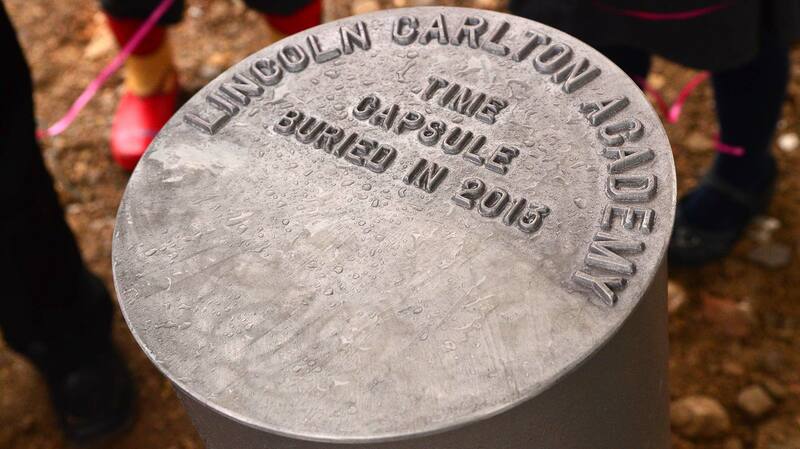 To mark the near-completion of the school, children, parents and staff buried a time capsule full of letters and drawings, and released balloons in the school’s colours. Head teacher at Lincoln Carlton Academy Marie-Clare Bretherton said: “Now that the completion date is in sight and the children have been able to see what will become their new school, we are very excited about the move. “It will have such a positive impact for the children and their families. Nick Heath, East Midlands operations director for Willmott Dixon said: “We are extremely pleased with the progress of this build and it is great to know that it will become such a vital resource for the local community. Councillor Patricia Bradwell, Executive Councillor for Children’s Services, said: “We are delighted to have contributed to the new school, providing the £3.3m funding for top facilities for young people in Lincoln. Resident Jenny Smith lives on Carlton Boulevard, across the road from the school development. She and her neighbour John Monroe told The Lincolnite that they are not against the school development, but they did take issue with some of the auxiliary buildings visible from the road. There are three buildings at the side of the school, just before the roundabout on Carlton Boulevard, including a large metal tank, a green metallic structure and a white cabin. John Monroe said: “We were told it’s going to be an eco-school, and I think we were lied to, because the first thing that they did was to rip out a huge row of trees. Jenny Smith added: “The water tower was only added two weeks ago, then a substation, and a box. It’s not in keeping with the area. There were no plans for these being there. 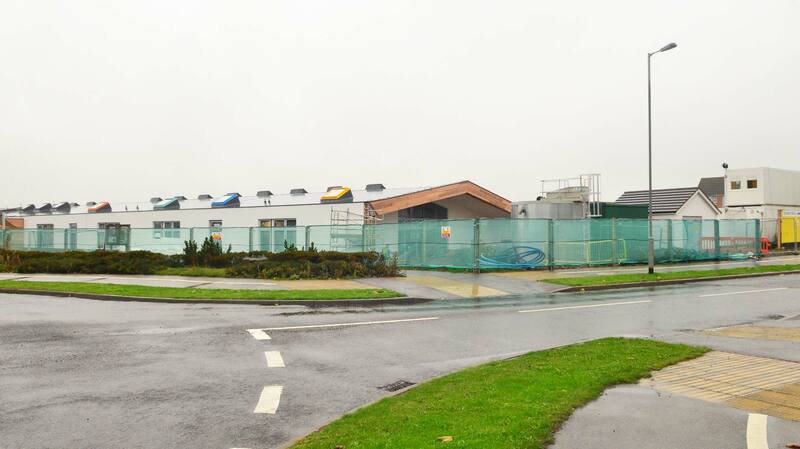 Debbie Barnes, Director of Children’s Services at Lincolnshire County Council, said: “By the time work is finished on the site in December ready for opening in the new year, the whole area will be tidied up and will bear little resemblance to how it looks now. “We acknowledge that this isn’t ideal for local residents and the area will look like a building site until then but they will have to bear with us until the work is finished. “They have been consulted on the plans for the new school as it has gone through the planning stages and we will continue to keep them informed of developments. “Parents and children have been fully supportive and can’t wait to move into their new school in the January term,” she added.